Email marketing delivers clickthrough rates that are up to six times higher than that of social and generates the highest ROI of any marketing channel. But an email is only as good as the content it contains. Users spend just 11.1 seconds reading an email, on average; images, therefore, play a vital role in grabbing attention and communicating the right message. As the age-old adage goes, a picture is worth a thousand words. But how do you choose the right image? How can you be confident that it will generate results? What are some real-life examples of effective and informed image selection? Pictures are a universally understood language. They draw our eyes before anything else, and they can increase the inclination to read a piece by 80%. Customers themselves say they prefer and focus on images over text. Images also help us remember information. After three days, people are likely to retain just 10% of the information they have consumed; but when the information is combined with a relevant image, they remember six times more, according to a study by John Medina. 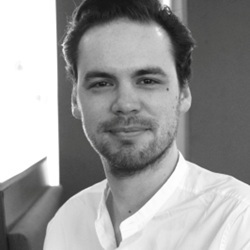 Jergan Callebaut is head of psychology at DataSine, a London-based startup that uses machine-learning and psychology to personalize customer experience with its AI-powered platform.